It was in the year 1996 when the Pamulinawen Festival was officially started. This year becomes its 15th year. This festival always excites us every year with its colorful celebration. 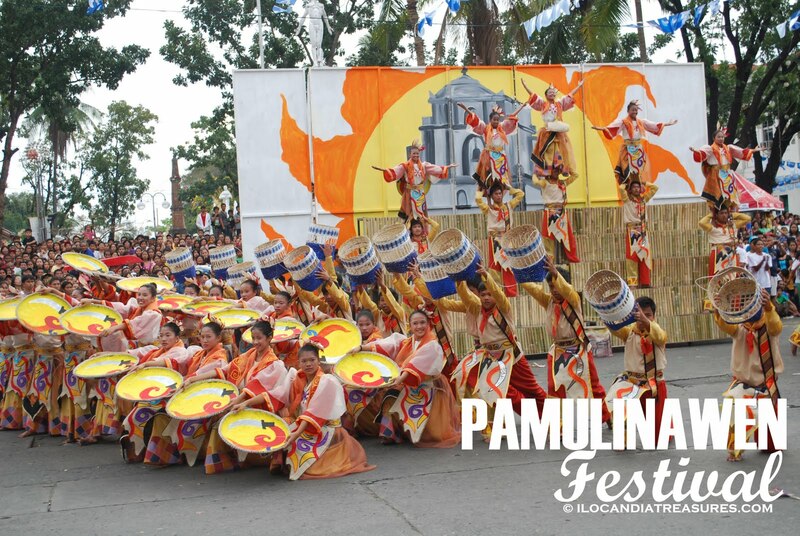 This event gives honor and tribute to the patron saint of Laoag City, St William the Hermit or San Guillermo. It is celebrated every 10th day of February. Fiesta is synonymous to food. Every home in the south of the country really prepares food for guests. For the last 15 years of festival celebration in Laoag City I never saw and experience people preparing food in their homes. I’ve been asking everyone and they never did it eversince. Just my analysis on this, it can be attributed to the practice of frugality among the community members. It’s very practical anyway. No worries about ardous preparation. The Dulang Food Fair I guess is the substitute for this where everyone partake the food prepared in that single event. The people simply enjoy the main highlight of the festival that is the Street Pageantry. A dance parade and showdown of group of dancers from Laoag City, other towns of Ilocos Norte and Ilocos Sur such as the town of Santa Maria along the Rizal Street terminating at the Capitol. It’s actually an open invitation. It was very colorful because of the beautiful costumes worn by the dancers. 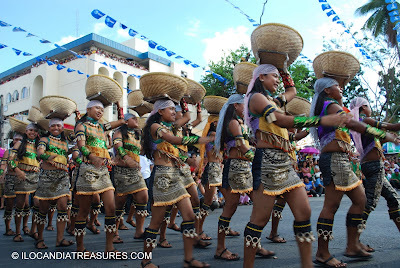 Every group really executes wonderful dances depicting Ilocanoness. Some had taped music while others had live beat of music of the big drums. The board of judges had difficult time in coming out with their decision. The first place and second place was a close fight with only .17 point difference. 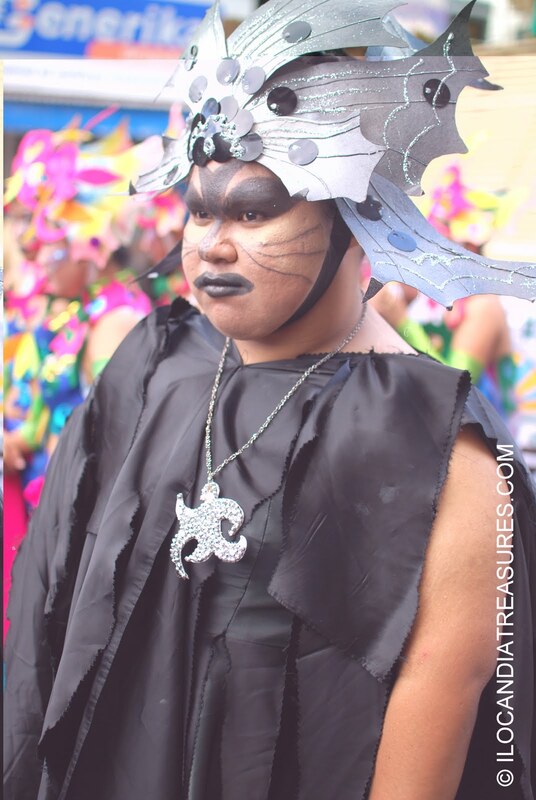 Ilocos Norte National High School is again victorious for coming out as the grand winner with their portrayal of fishing or daklisan. Holy Spirit Academy of Laoag was a big surprise to come out as second place because it was their firtst time to enter the contest. Their group really gave a fantastic performance depicting Laoag featuring the Sinking Bell tower, the Cathedral and the Sunshine as symbol of the city. The third place went to the contingent of La Paz which also portrayed fishing or daklis. The groups became richer by Php100,000, Php50,000 and Php20,000 respectively. Everyone enjoyed the extravagant Street Pageantry. After watching the show, one can go for snacks of empanada then go for shopping at the bazaar and finally enjoy the amusement at the fiesta carnival under the Laoag Bridge.